There are at least two bands named Hati: 1. 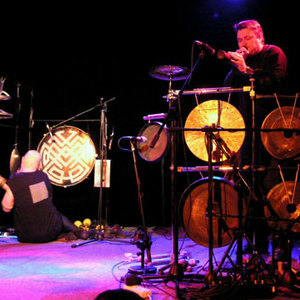 Polish musical project based on acoustic instrument sounding. The instruments they use are acoustic, namely traditional (ethnic) acoustic instruments and hand-made instruments or objects not necessarily meant for creating music, which produce interesting sounds. The instruments are made of metal, wood, leather and stone. They also use electronic equipment. The keywords are: trance, rhythm and sound. 1. Polish musical project based on acoustic instrument sounding. The instruments they use are acoustic, namely traditional (ethnic) acoustic instruments and hand-made instruments or objects not necessarily meant for creating music, which produce interesting sounds. The instruments are made of metal, wood, leather and stone. They also use electronic equipment. The keywords are: trance, rhythm and sound. 2. German black metal band, date of forming unknown.